UN General Assembly resolution on Basic Principles on Debt Restructuring Processes: a first step towards a global state bankruptcy regime? 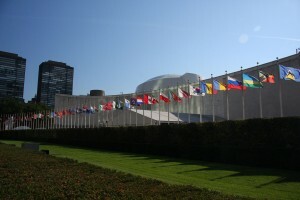 In what was hailed as a ‘historic’ move, the United Nations General Assembly (“GA”) adopted its resolution concerning Basic Principles on Sovereign Debt Restructuring Processes on 10th September 2015 (“resolution”), despite persistent opposition from several member countries, including heavyweights such as the United States and European Union. The GA resolution essentially builds on its previous commitment made a year ago towards the adoption of a multilateral framework on sovereign debt restructuring. Although, the present resolution does not go as far as proposing for a definitive legal multilateral framework, it is nonetheless unflinching in its stance and comprehensive in its assessment. The resolution expounds on a set of nine basic principles, which arguably represent some of the most contentious issues in the realm of sovereign debt restructuring and continues to confound both creditors and sovereign debtors alike. In the backdrop of increasing anxiety and concern with respect to the debt vulnerabilities of both developing and developed countries, this piece argues that there is an urgent need to reconsider a statutory approach in addressing the question of debt unsustainability and consequent restructuring. In this regard, the resolution and the principles stated therein can provide for a perfect launch pad in igniting both debate and action at the international level, currently marked with skepticism and dissonance. For the purposes of the present resolution, the GA had established an ad-hoc working committee comprising of experts from across the world to reflect on current infirmities plaguing debt workouts and propose a set of working principles so as to guide future policy action. The resolution wholeheartedly endorses the report in its entirety and recognises in full, the principles stated therein. At the outset, rather mindful of the sensitivities of countries in allowing for any incursion into their sovereignty, the resolution implores the ‘consensual’ a pproach towards restructuring to be implemented in pursuance of ‘national policies and circumstances’. It also underscores the importance of ‘good faith’ in debt restructuring negotiations between creditors and sovereign debtors in exploring sustainable results. It then goes on to declare nine principles, namely, sovereignty, good faith, transparency, impartiality, equitable treatment, sovereign immunity, legitimacy, sustainability and majority restructuring, which ought to guide debt-restructuring processes in the future. The author concerns himself with four of those principles in an effort to produce more clarity and coherence with the ultimate aim of shaping their scope and content. The resolution enjoins both the sovereign debtor and its creditors to be guided by the principles of good faith not only during the negotiations stage but also at “other stages of the process”. The implication of the above is that good faith, interpreted broadly can subsume within its scope variety of legal concepts. For instance, it can be interpreted to impose a duty on creditors to abstain from disruptive negotiating tactics, estop creditors and debtors from retracting representations made, sneer the act of ‘holding out’ as disruptive, relinquish the obligations of the sovereign debtor in relation to odious debts etc. Good faith as a ‘general principle of law’, has evolved over the years in varying degrees of form and substance and it is imperative to define the contours of the same with respect to sovereign debt restructuring, mindful of its functional significance in contractual negotiations. Transparency and accountability have been recognised as central to any debt-restructuring workout and in this regard, the resolution advocates for the ‘timely sharing of both data and processes’. One only needs to look back at Greece, which had consciously manipulated and misrepresented its public debt figures for years together before it was finally acknowledged by Mr. George Papandreou’s government. That was the single biggest blow for the markets resulting in a complete loss of confidence, and from then on, there was no stopping the downfall. Information asymmetry existing both at the vertical (between creditors and sovereign debtor) and horizontal level (between creditors inter se), which the author perceives as an inevitability in any complex debt restructuring process, requires a concerted effort and proactive stand on the part of the sovereign debtor and its creditors. A steady flow of relevant information concerning debt sustainability levels and more importantly about the ability and the willingness of the sovereign debtor to refinance its debts, can go a long way in reducing the uncertainty and volatility associated with the debt restructuring process. Along with that, market sensitiveness necessitates that information is shared in a timely manner, thus allowing for quick maneuvers as a response to changing market dynamics. In this regard, it is important to consider the different proposals for a more permanent based debt restructuring forum, tasked with the facilitation of creditor-debtor dialogue in the exchange of information and timely inputs, both before and during the restructuring workout. The resolution acknowledges sovereign debtor immunity from the clutches of national courts in relation to execution and enforcement of debt agreements as a rule, and implores a restrictive reading of possible exceptions to the above. Although, one may have to accept that the doctrine of absolute immunity has seen a gradual decline in most jurisdictions, it nonetheless permeates through literature and court decisions as both controversial and contentious. The most definitive advantage of sovereign immunity in debt restructuring cases is in its potential to reduce the phenomenon of ‘rush to the courts’, whereby a sovereign debtor is dragged into litigation in different international forums to enforce or reclaim amounts, essentially delaying and often destroying any restructuring plan. The recent Argentina episode before the US courts, provides a starling reminder of how certain vulture funds, representing a minority of the creditors, can completely derail a restructuring workout, agreed to and endorsed by almost 90% of the remaining creditors and bring the country to a complete standstill. Contrasting national approaches to the concept of sovereign immunity and its resulting complications for the sovereign debtor therefore ordains for a consensus on the limits and continuity of the doctrine of sovereign immunity, while giving effect to the resolution. The resolution puts at centre stage the idea that a restructuring plan ought not to be ‘affected, jeopardised, or otherwise impeded…by a non-representative minority of creditors’ as against majority approval. More often than not, minority group of creditors take advantage of the fact that any debt restructuring process requires the consent of all creditors and employ a whole range of stalling tactics, in the anticipation of being fully paid out, as was evidenced in the Argentina debt crisis. To surmount this problem, the resolution calls upon States to include collective action clauses (“CAC”) in their debt agreements whereby a super majority of creditors can bind the minority creditors as regards the restructuring terms, eliminating to a certain degree, the holdout problem. In this regard, the member states of the European Union have taken the lead and one may refer to Art. 12 (3) of the Treaty Establishing the European Stability Mechanism (“ESM”), which mandates the use of CACs for all Euro area government securities issued subsequent to 1st January 2013. While scholarship is divided with respect to the actual or potential benefits of CACs, an often-cited argument against the use of the same pertains to the fact that CACs apply to only individual bond classes and do not employ aggregate voting across all classes of issue. Therefore CACs binds creditors within the same issue without imposing any obligations on creditors holding issues of different class. The author in this regard, in conjunction with several other authors, has previously argued for a rule based institutional framework, under which all claims can be brought by employing a combination of CACs and aggregation clauses, superimposed on sovereign debt agreements Hence, it is expected that the use of CACs as recognised in the resolution is only the first partial step towards a rule/statutory/treaty-based approach to the problem of holdouts. While the idea of an international framework for sovereign debt restructuring is certainly not a novel one, having been proposed by the IMF way back in 2002, progress on the same has been rather piece meal and sporadic, absent any substantive regional or international rules on the subject. The debt crisis in the Eurozone brought back a renewed interest and vigour in scholarship and policy with respect to ‘orderly debt restructuring’ as opposed to an ad-hoc and cluttered response to the same and it is hoped that the present resolution only adds more resolve and direction to different dimensions of the debate. The resolution is comprehensive in as much as the principles contained therein captures the entire spectrum of the debate, and collects its loose ends, while simultaneously treading a cautious path. Much concern has been expressed as to whether the UNGA is the ideal platform for the elucidation and implementation of a multilateral framework as opposed to the IMF. Accordingly, it is reasonable to suggest that the UN effuses much more legitimacy and impartiality in the minds of state functionaries, and has grown into an all-inclusive institutional body, where every member is perceived to have a say. Further, it has been argued that the UN’s role in promoting and augmenting the agenda on sustainable development and the increasing role of sovereign debts within that context, makes it a fitting platform to deliberate on such issues. The author sincerely hopes that the international community chances upon this present momentum and strives towards a more sustained, rule based debt-restructuring framework for sovereigns in the future. Kanad Bagchi is an MSc Candidate in Law and Finance at the Faculty of Law, Oxford University. Formerly, he was a research assistant at the Europa-Institut, Universität des Saarlandes, Germany. His areas of focus are EU Institutional law, sovereign debts and European Economic law. This entry was posted in Uncategorized and tagged debt crisis, Debt restructuring. Bookmark the permalink.